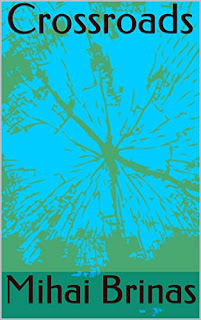 Read Poems brings to the reader's attention a wide range of topics from love, life and love of life to places in the soul of nature or in our own souls. 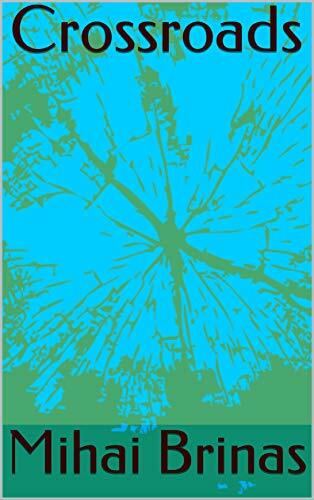 Another moving collection of poems that are sure to capture your heart. 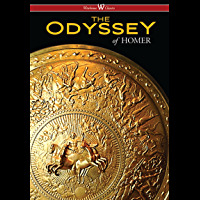 I'm impressed with the flow of the words and the in-depth meanings found within the poems. 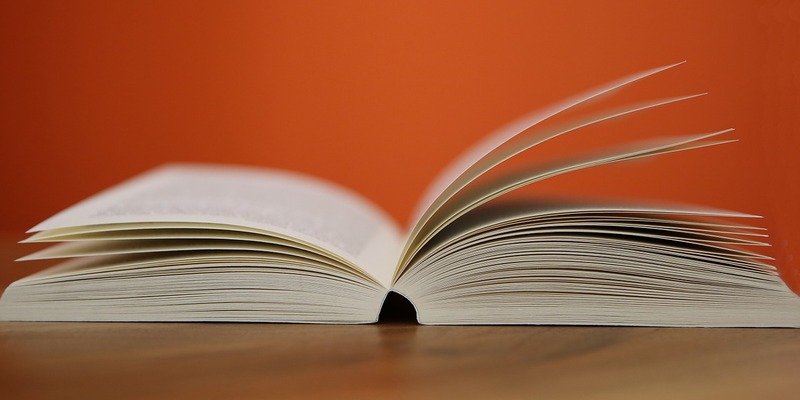 Poems that can thought to mean different things depending on the mind frame of the reader. It leaves a bit a mystery behind what was going through Brinas' mind. A few poems I feel head over heels for but none more than the one title Separation. 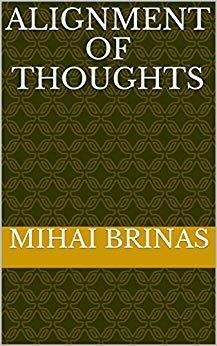 Mihai Brinas poems are raw and all to devouring of the human soul. I look forward to the hopeful many more work from Brinas. Being the voracious book reviewer, I am, I read/review a wide variety of genres, including poetry. There’s a certain quality in writing poetry which requires the writer to possess a certain mastering of the English language to adequately set the picture in a reader’s mind along with any desired emotions which the poetry is supposed to evoke. 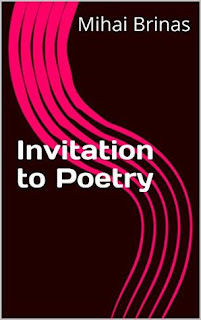 In reading the poetry exhibited, I’d found them to be quite thought-provoking making it difficult to simply and then move on to the next poem. Given the genres of the books I’ve read/reviewed recently I needed something which have me picture something in my mind which would give and have me think about a wide variety of emotions, such as: contentment, passion, life and to balance everything thing out even a touch of sorrow; recalling memories of my past days and perchance some new thoughts. 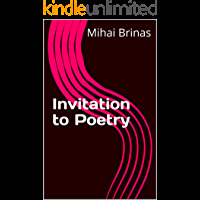 For having given this to his readers and myself, I’ve given the author, Mihai Brinas, the 5 STARS he’s getting from this voracious book reader/reviewer. 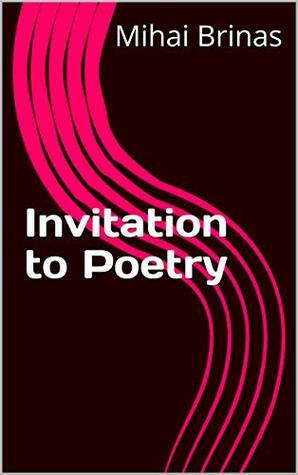 If I had to use one word to describe Invitation to Poetry, that word would have to be enchanting. The poems have freshness and vitality. They’re fully recognizable across cultures as poems of love and life. And they remind us of what’s important and what matters. Everytime Brinas release another piece of work I become more intrigued with his mind an the way it works. The passion that it felt as every line is read. The connection to his words in raw and powerful. 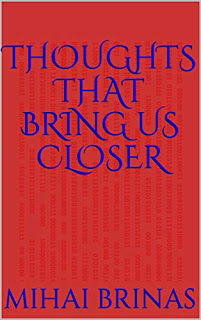 Thoughts That Bring Us Closer is a collaboration of his previous works and new work added in. While it wasn’t necessary for me to read the entire collection as I have already read them as individual works. I did. Why? Because even while being read a second time it was as if it was the first time the words have crossed my vision. And as a whole witht the added newly written words you get a well round picture. I encourage the collection to be read as whole in the order of their release. Each poem brings a new journeys path of what I can only assume is his life or the life of those extremely close to his heart. Brinas has mastered his writing style which only seems to be evolving in the most beautiful aspect. 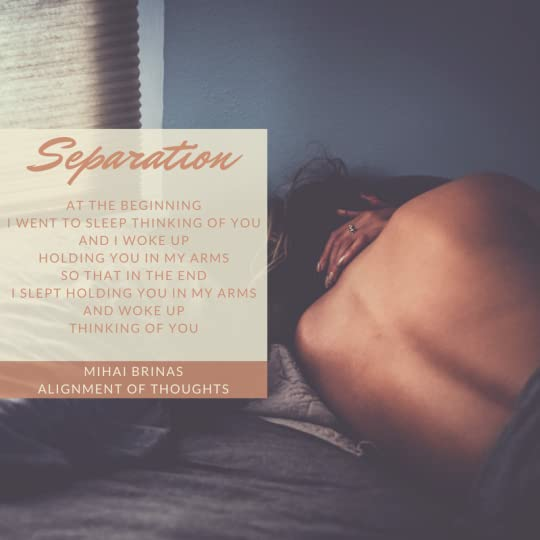 It is without a doubt that Mihai Brinas is a poet who will someday be taught about in Enlighes Classes one day in the future. As I can see his words living on forever in the souls in which he captures. Amazon Best Sellers Our most popular products based on sales. Updated hourly. 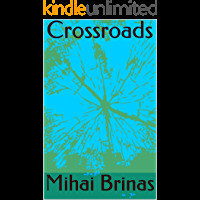 Mihai keeps on writing while still believing in the power of honesty, goodness and love.